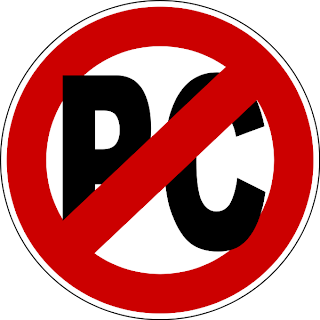 “PC-driven language is politically motivated, and so attracts more attention and resistance than most euphemism. PC euphemism is perceived to arise directly out of linguistic intervention. Except for slang (or at least their own slang), people generally dislike linguistic change, especially change that smacks of deliberate manipulation. Peggy Noonan, a journalist and former speech writer for Ronald Reagan, spent much of a piece on political correctness lamenting the loss of words she claims to have been hijacked and reinterpreted: ‘I wish we could rescue them’, she writes, ‘and return them to their true meanings.’ She describes, for instance, gay as once being ‘a good word because it sounded like what it meant – “merry and bright”’. As an aside, the etymology of gay can be traced back to one of two Old High German words – one with the meaning ‘good, beautiful’, the other ‘impetuous, swift’. Presumably, neither of these is the ‘true meaning’ Peggy Noonan had in mind: ‘merry, bright’ is what she grew up with and feels comfortable with, and it is this meaning she believes is the true meaning that she wants to revive.